Discover the new Mercator Ocean Journal celebrating its 20 years anniversary! For its 20th anniversary, Mercator Ocean (1995-2015) would like to pay tribute to the scientific operational oceanography community and thank all the authors who contributed to the Mercator Ocean Newsletter. We have thus selected 24 papers among the last 52 issues and publish them again in a single volume sorted into 10 thematics. Following the growing number of subscribers, the Mercator Ocean Newsletter claims for its scientific ambition and becomes the "Mercator Ocean Journal". The editorial line will not change, with 3 to 4 issues per year with a common thematic as well as an annual joint issue with the Coriolis Center dedicated to in situ Observation. 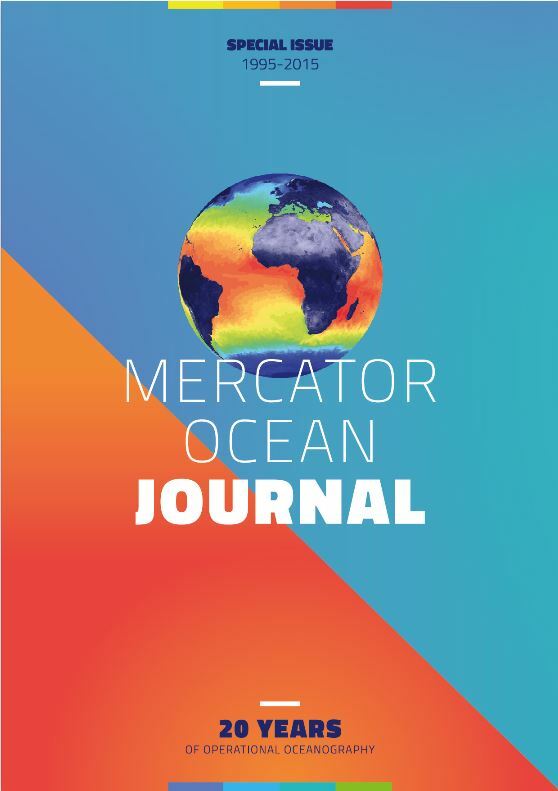 The next issue of the “Mercator Ocean Journal” will focus on MyOcean2 and MyOcean Follow-on scientific output and will be published in February 2016.